Essential oils are awesome to use inside and outside the house. 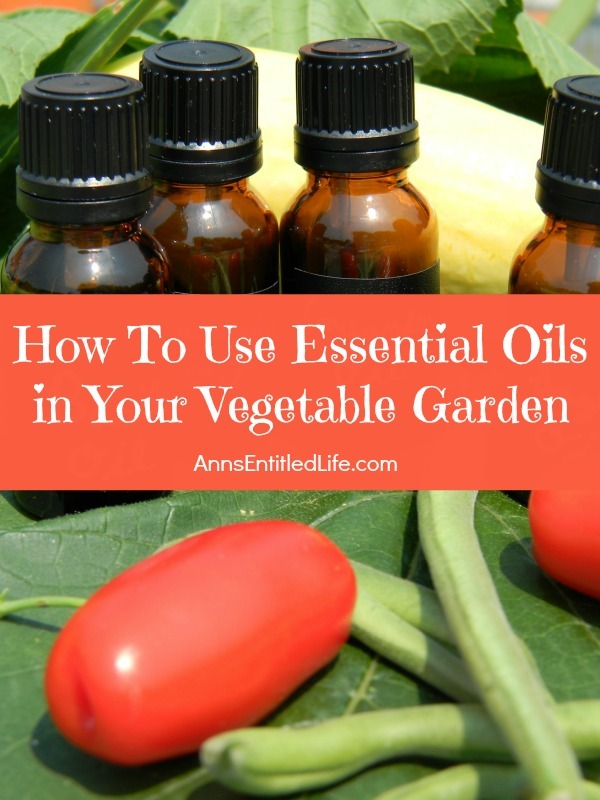 Using essential oils when watering your vegetable garden is just pure genius. Essential oils are concentrated oils derived from seeds, nuts, fruits, and leaves. Many plants have amazing benefits to aid our growing gardens. Using the oils naturally found in these plants when watering is a great way to quickly get the nutrients or pest control properties to the plants right away. Many plants have symbiotic relationships with other plants in the garden. These means they help each other when planted next to each other. • Basil Essential Oil to water is a 3:1 ratio, which means that you need to mix three drops of Basil Essential Oil to one gallon of water. Gently pour this mixture onto your plants monthly, or more often if needed. • Plants that benefit from being watered with Basil Essential Oil include asparagus, broccoli, potatoes, tomatoes, and roses. • Basil also repels flies – so it is perfect to add to your homemade insecticide soap. • Lavender is one of those plants whose essential oils can be used in so many things, especially as an added benefit to your vegetable garden. When you can’t plant lavender near your veggies, water them with a 3:1 ratio of Lavender Essential Oil. That means three drops of Lavender Essential Oil to one gallon of water. • Fruits and vegetables that love lavender include green beans, apples, and grapes. • Lavender also repels many insects away from the garden including flies, mosquitos, ticks, chiggers, and moths. • Sage and lavender are cousins in the plant world and have many similar beneficial effects on other surrounding plants. Use a 3:1 watering ratio with Sage Essential Oil. That means three drops of Sage Essential Oil to one gallon of water. • Plants that love to be planted near Sage and can benefit from Sage Essential Oil mixed in the water are Brussels Sprouts, cabbage, carrots, cauliflower, cucumbers, and zucchini. • Cutworms and ticks are not fans of Sage in the garden. • When you want to attract beneficial insects like ladybugs, lacewings, butterflies, and bees to your garden then you want to use Coriander Essential Oil. Water your garden using six drops of Coriander Essential Oil to one gallon of water. Make certain you water the garden’s border really well to entice the good bugs to come on in!